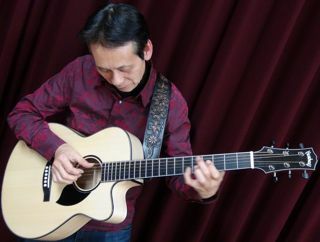 Takashi Nakamura is a Guitar, Ukulele, Banjo, Mandolin and Charango player, Composer, Arranger, Professor at Osaka Univ. of Art. Also he's been a regular Guitarist & Jazz Ukulele player in ARROW JAZZ ORCHESTRA in Japan. Performed with Terumasa HINO, Eiji KITAMURA, Norio MAEDA, MALTA, Makoto OZONE, Yasuko AGAWA, Naoko TERAI, Kotaro OSHIO, GONTITI, and more. 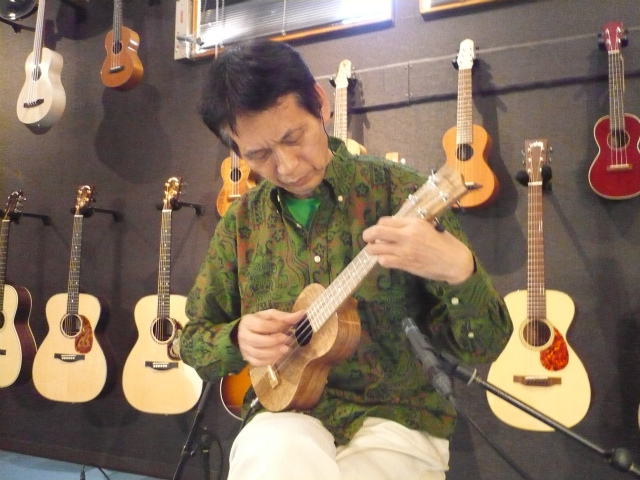 Besides he is currently active for the Jazz-Ukulele Unit "T.T.cafe" with Tatsuko Kaneda. They were invited to Hawaii Ukulele Festival as performers. He has already released 8-albums of bossa noba and Ukulele etc. 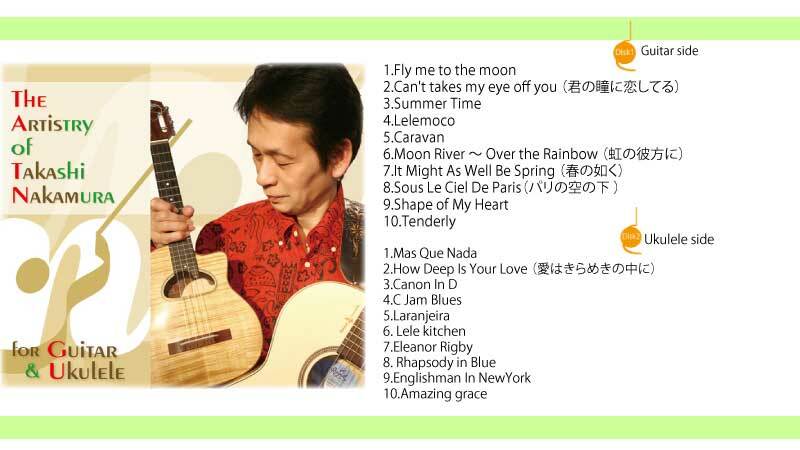 Masterpiece of his guitar CD is " Acoustic Guitar Jazz", that Mr. Kotaro OSHIO comends. " Sing Swig Sing" is for JAZZ ukulele and also one of his best works. 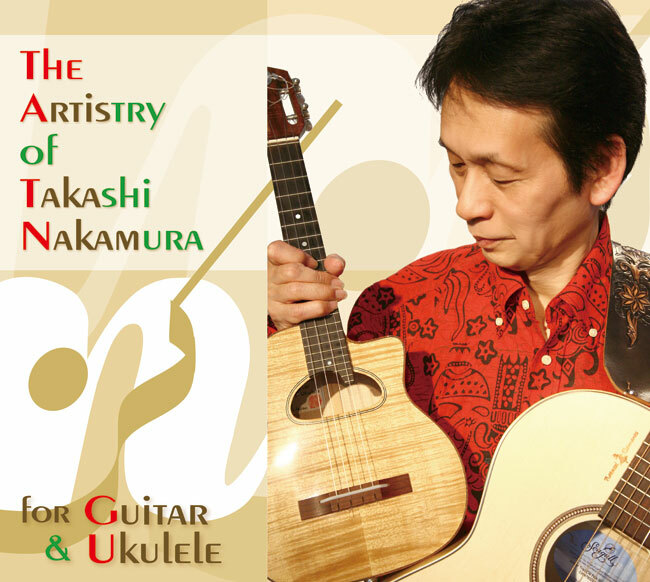 In 2013 he released solo-album, " The Artistry of Takashi Nakamura for Guitar and Ukulele" is his compilation. 2005. Released album of ukulele jazz "Sing Swing Sing"
2010. Released album of jazz guitar "Acoustic Jazz Guitar"
2011. Issued Music book with model performance CD. "Dareka-ni-Kikasetakunaru-Ukuele-Solo"
2012. Issued Music book with model performance CD. "Dareka-ni-Kikasetakunaru-Ukuele-Souhou"
2013. 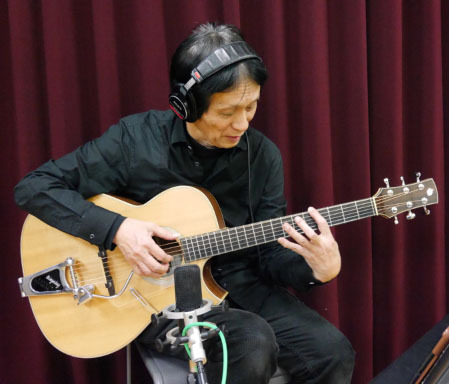 Released a new album "The Artistry of Takashi Nakamura for Guitar & Ukulele" -- doouble CD, a compilation of his work. Now on sale! 2013. Issued Music book with model performance CD. "Accoustic Guitar In Jazz"
2013. Issued Music book with model performance CD.Music book with model performance CD,"Ukulele-Classics"
2014. Music book with model performance CD,"Ukulele-TV~Theme-music for NHK programs"
2015. Issued Music book with model performance CD, "Ukulele DUO"
2015. 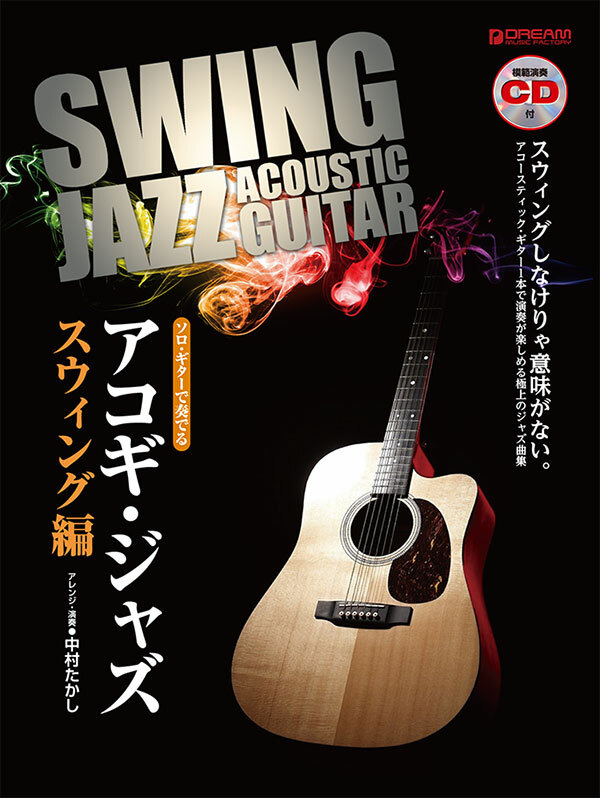 Issued Music book with model performance CD, "SWING JAZZ ACOUSTIC GUITAR for playing with solo guitar"
2015. Issued Music book with model performance CD,"ACOUSTIIC GUITAR JAZZ ~ vol.GHIBLI"
2015. Issued Music book with model performance CD "ACOUSTIIC GUITAR JAZZ ~ vol.JAPANESE BALLADS"
2016. Issued Music book with model performance CD "The Ventures with Acoustic Guitar "